Cinsaut is a perfect grape for the Rhone Valley as it thrives in the hot, windy weather. Cinsaut plantings are on the decline in Chateauneuf du Pape. Currently, close to 2.6% of vineyards in the Chateauneuf du Pape appellation are devoted to Cinsaut. Cinsaut is used primarily as a blending grape in the Southern Rhone Valley as it pairs well with Grenache, Syrah and Mourvedre. It is not just in the Southern Rhone Valley where Cinsault is in decline, the grape is decreasing in total acreage in vineyards all over the world. In fact, over a ten year period, between 2000 and 2010, 14% of the grape variety was culled from vineyards all over the world and replaced with other, red wine grapes, which are easier to cultivate. The dark skinned grape ripens early and often delivers prolific yields. When growers work with the variety and reduce yields, Cinsaut delivers floral and ripe strawberry notes as well as hints of dried fruit. The late ripening grape, due to its natural, low level of tannin and acidity, coupled with strong aromatic quality is often used in the production of Rose’ in Provence. While Cinsault occupies only a minor portion of Chateauneuf du Pape, it is much more popular in other ares of Southern France including Bandol and the Languedoc. In fact, at least one producer in the Languedoc makes wine using 100% Cinsault, Domaine Le Boede. Cinsault is also quite popular in Gigondas, Tavel, Cotes du Rhone, Costieres de Nimes, Coteaux du Tricastin, Cotes du Ventoux and the Cotes du Luberon appellations. Outside of the Rhone Valley, Cinsault is also grown in Algeria, Australia, Corsica, Lebanon, Morocco, Tunisia and South Africa. 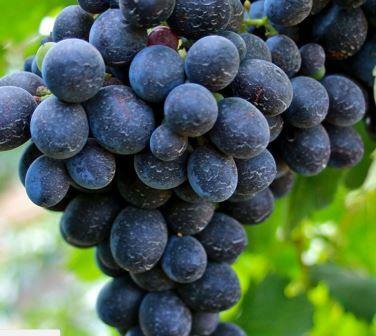 In fact, in South Africa, the grape was blended with Pinot Noir to create Pinotage during the early 1900’s. Cinsault as a wine and food pairing is often used with sea snails in garlic, better known as Escargot. It’s also works quite well in pairings with stews, braised and roasted meat dishes like beef, lamb, goat, beef, duck, chicken and pork. Cinsault was exported to California all the way back to the 1860s. At the time, it was called Black Malvoisie. The grape was once again used for blending. In California it was often paired with Zinfandel or used in other field blends. There are producers making wines from 100% Cinsault, for example; D’Arenberg in Australia. In California, not many growers are using the grape. A few of the better estates making 100% Cinsault are Bonny Doon, Castle Vineyard and Frick.